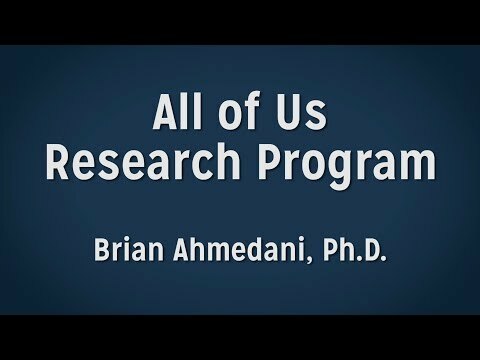 Dr. Brian Ahmedani received his PhD and MSW degrees from Michigan State University (MSU). He is a fully licensed clinical and macro masters-level social worker in the State of Michigan. Dr. Ahmedani also completed a NIH / NIDA-funded fellowship program in Drug Dependence Epidemiology. He joined the Center for Health Policy and Health Services Research at Henry Ford Health System (HFHS) in 2010, and was appointed Director of the Center (September 2018). His research interests are in the area of health services and interventions for individuals with mental health and substance use conditions, with particular expertise in suicide prevention. Currently, he is the HFHS Site-PI for the NIMH-funded Mental Health Research Network and the Health Systems Node of the NIDA Clinical Trials Network. He is PI/Co-PI for two large multi-site studies on suicide prevention – the first investigating healthcare use patterns before suicide and the second evaluating implementation of the Zero Suicide Model across health systems. He is also Co-PI for the Trans-America Consortium of the NIH All of Us Research Program, and serves as Co-I on several other projects. His research interests are in the area of health services and interventions for individuals with mental health and substance use conditions, with particular expertise in suicide prevention.